Welcome to a Load Covering Solutions for truck body, flatbed, and drop deck applications. When choosing ALCS, keep in mind the system comes with a typical aluminum van roof so top loading is not available on standard models. Optional top tarp systems to provide overhead load accessibility are priced out based on individual load requirements. 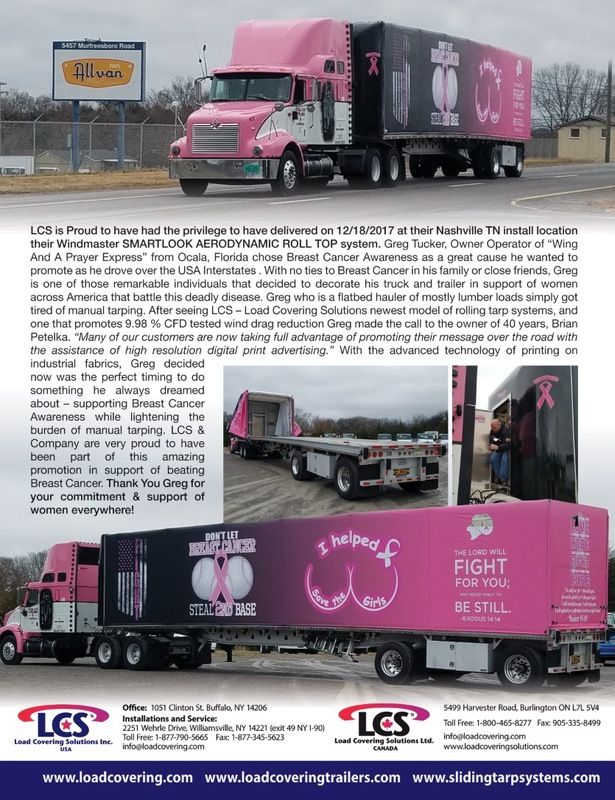 Carriers and shippers chose ALCS for its versatility to load like a flatbed trailer from either side or through the rear while having the weather containment of a van trailer. ALCS also provides greater load bearing where if product shifts sideways the vertical cargo straps and tension buckles built into the side wall provides greater ability to contain a load and still allows side accessibility in order to get the load off the trailer. ALCS Side Curtain Systems provides less annual maintenance because there are less working parts. If you�re looking for a system that is simply load and go then ALCS is definitely a product you need to learn more about. ALCS systems are available at 102" widths and requires loads to be tied down according to DOT regulations. · Front Bulkhead is typically hot dipped galvanized frame with a plymetal white insert panel, non DOT and available in a square corner flush mount or a front sill mount chamfered corner. · Rear Door Frame is typically hot dipped galvanized frame with FRP white swing doors and single locking rods. · Roof is a typlical van style with .040 aluminum skin, galvanized or aluminum roof bows on 24" centers and our ALCS all captive combination side roof rail and track extrusion. · Side Curtains are constructed from 26.5oz PVC vinyl tension material with a urethane gloss top coat. ·Stainless Steel HD over-center buckles located on 24" centers provides load bearing tension to the curtain wall. ·Ball Bearing upper rollers are attached to each vertical cargo belt and allow the curtain to slide easily along the aluminum extruded roof track. So if you need weather protection like a van, side and rear access like a flatbed and keep your maintenance down to a minimum then the ALCS Side Curtain Systems are your product of choice.